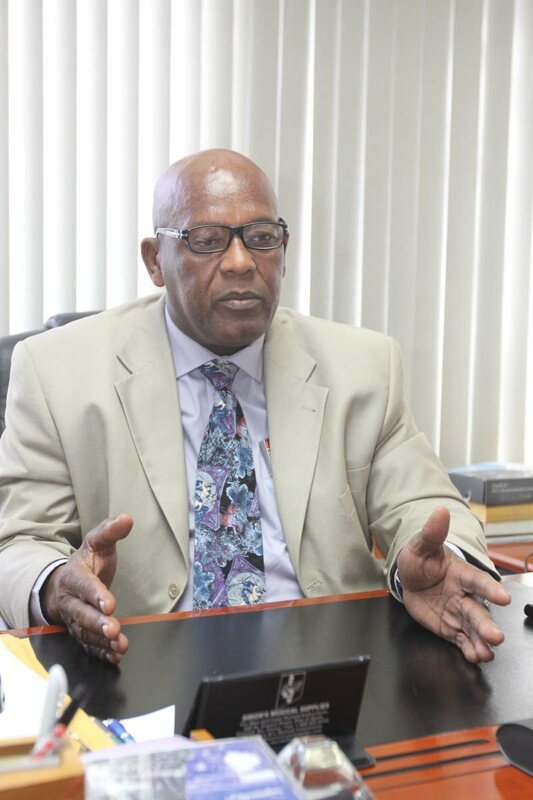 PAN TRINBAGO president Keith Diaz has shut down operations at the head office in the face of, what he saw as, some dissident members of the central executive “doing as they pleased” without his knowledge. Diaz said he called the conference to shed light on what was happening at the organisation. As a result he wrote to secretary Richard Forteau earlier this week, asking him to desist from chairing any meetings or deeming them central executive meetings, reminding him that all those meetings must be presided over by the president, and telling him that with immediate effect, all correspondence on a Pan Trinbago letterhead leaving the office must be seen by him before despatch. However for the most part, he said, all these orders have been violated. Diaz said after he fell ill last year and Forteau took over his duties, the problems began when he returned to work. The latest was a letter to the association’s bankers telling them the president had no power to negotiate anything for Pan Trinbago, but the secretary did. Diaz said he collected the letter yesterday and is responding to it. He said similar letters have been sent to the line minister and the NCC chair, which he has since addressed. On the Extraordinary General Meeting (EGM) Diaz called for April 17, he said he did so according to the constitution of Pan Trinbago. Diaz said 137 bands were financial members and registered for the national Panorama competitions this year: 53 single-pan bands, 43 small, 25 medium and 16 large bands. With 120 bands signing the petition, Diaz said it made the document more than legal. Reply to "Diaz shuts down Pan Trinbago’s office"